I was getting some help with our floor plan for our master bedroom and en suite and our FR / kitchen. 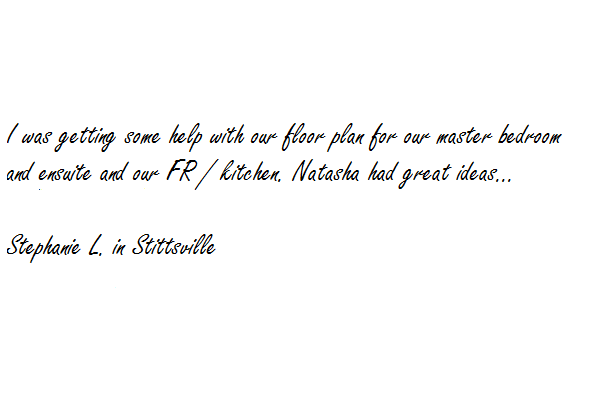 Natasha had great ideas for solving some of our design challenges and the constraints with our rooms. She also gave me some ideas for window treatments.